How Can One (Re)make Swiss Typography? In the early 70’s, the MFA Design program at Yale, where I was teaching, was still in the thrall of the orderly, cool rationalism of Modernist Swiss typography. So it was shock to the system when, scanning the periodical shelves one evening in the Art Library, I came across the January 1972 issue of Typografische Monatsblätter, a monthly journal serving the Swiss printing and typography industry. On each cover, in tiny print running up the side, was the modest credit, “Concept and Design: Weingart.” That would be Wolfgang Weingart, a teacher at the Allgemeine Gewerbeschule in Basle. His covers appeared periodically, and mysteriously, with no explanation, until finally, in the October 1973 issue, there appeared a short article in which the designer briefly explained his motive for the series. Indeed, those two years, 1972 and 1973, marked the culmination of an amazing decade-long rush of personal experimentation that re-imagined how typography could behave. This innovative period began in 1964, when Weingart moved from Germany, where he was trained as a hand-set compositor and printer (“in awe of the Swiss Style”), to Switzerland, to show his portfolio of typographic studies to two great, but very different teachers at the Schule für Gestaltung (School of Design), a department at the Allgemeine Gewerbeschule Basel (Basel Vocational School). The other was Armin Hofmann, a less rigid and more humanistic designer, whose teaching addressed the basic principles that governed the organization of images and typography into lyrical, formally elegant compositions. He was admitted to the school but soon found he was unable to tolerate the structure of classwork. Although withdrawing as a full time student, Weingart was encouraged to use the school’s facilities, and in particular, the beautifully equipped type shop, to pursue his typographic experiments. Serendipitously, I visited the school in Basle that first summer Weingart was teaching. Yale had given me a grant to go to the school and experience first-hand their new Advanced Program in Graphic Design and to explore what it might have to offer for our own graduate curriculum. And there he was, in his white lab coat, guiding his students through a disciplined, step-by-step exploration of typographic basics, pushing around slivers of type, hand-set in the type shop (in 1968, this was the way to generate type to work with on paper). He believed that these elementary exercises were the only way to prepare oneself for the more complex process of self-discovery and visual invention. Weingart’s own process of discovery was reflected in his method of teaching: as he did in his own work, he encouraged students to first explore every possible technical and visual permutation that could be created with the materials of a type shop (thinking of the type shop more like a printmaking studio); and then, apply those ideas to a particular design problem (a text, form, diagram, announcement, etc). The extravagant experiments of Weingart and his students are now widely known, but at that time few had yet been published or ever even seen outside of the school. Even during my visit in 1968, there was little hint of what would come. This document became the text for a series of lectures in 1972 and 1973 when Weingart arranged to visit many of the most important design schools in Europe and America. And sure enough, in the fall of 1972, at the invitation of Dan Friedman, his former student and now on the faculty at Yale, Weingart arrived at the School of Art on his first of a number of memorable visits, for a lecture and workshop demonstrating his principles. This whirl-wind tour exposed the design education community to Weingart himself — a charismatic and droll presence — and to a new brand of Swiss Typography, freed up from the rigid, impersonal conventions of High Modernist style, providing instead a more provocative, witty and engaging option for the visualization of language. As I look back on it, Weingart’s tour provided a tipping point for what would come to be known as “New Wave” typography. His presentations influenced programs at Yale, RISD, Philadelphia College of Art, University of Cincinnati, Boston University, Ohio State, Cooper Union and Pratt, among others. His own students, like early graduates Dan Friedman and April Greiman, became teachers and role models on both coasts. Over the next decade Weingart’s ideas proved to be compatible with the rise of Post-Modernism and could be felt in the ground-breaking work of other designers following similar, more expressive paths, like Katherine and Michael McCoy at Cranbrook, and their students, such as Alan Hori, Scott Makela, Nancy Skolos and Tom Wedell; Zuzana Licko and Rudy VanderLans at Émigré; and Jeff Keedy and Lorraine Wild at Cal Arts. Eventually this gene pool begot David Carson and finally Ed Fella, the master of the artless vernacular, about as far from the 60’s Swiss Modernism of Emil Ruder and Joseph Muller-Brockman as you could get. (3) Design Quarterly 130, 1885. (5) Design Quarterly 130, 1885. 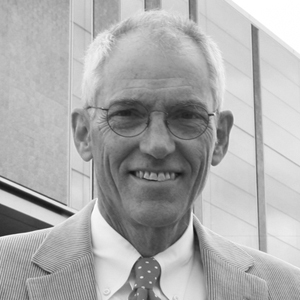 Chris Pullman served as vice president of design for WGBH for 35 years. Viewers of PBS will recognize his work in the opening title sequences of Masterpiece Theatre and Antiques Roadshow and the WGBH animated on-air signature. Chris Pullman remembers AIGA Medalist and revered typographer Jack Stauffacher, who passed away a few days before his 97th birthday.